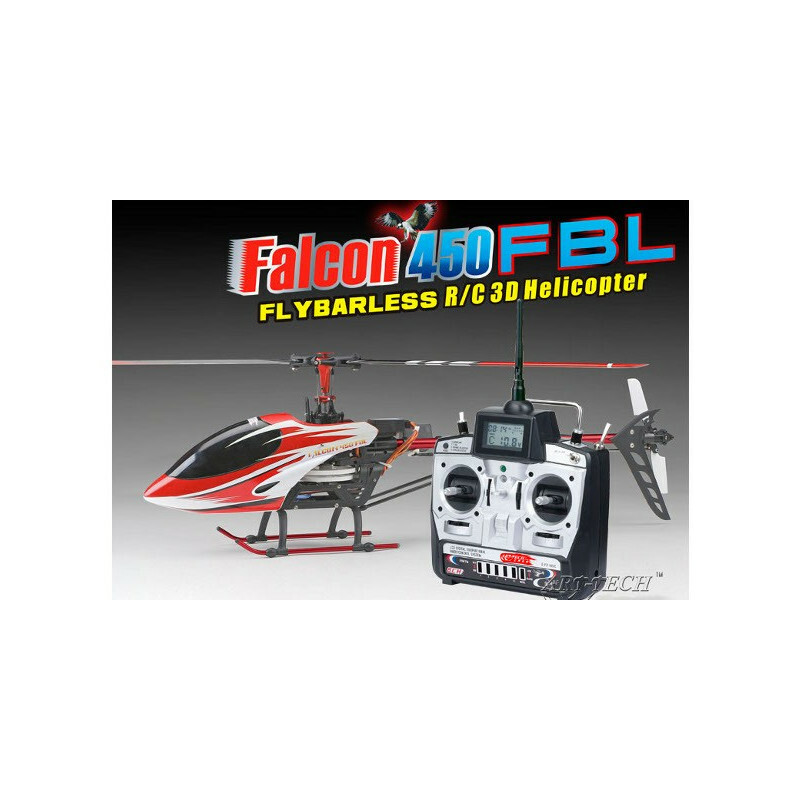 The Art-tech Falcon 450 FBL is with precision CNC machined metal rotor head and NO stabilizer design. Stability is amazing! Just throttle up and she hover with ease! When you are ready to move to aerobatics or as we call them the famous name "3D"! The Falcon 450 FBL will take your stick inputs with a smile! Inverted flights, funnels, hurricanes, rolls, loops, flips, tail slides, and much more are all capable! 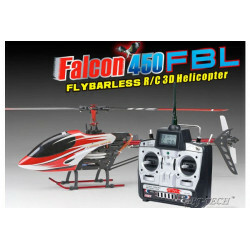 The Falcon 450 FBL is made of durable materials that will insure much durability and flexibility! 1. 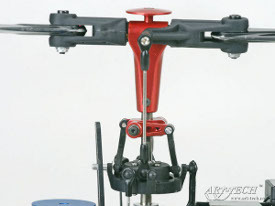 CNC processing metal rotor head is with high rigidity and precision. It not only extends the lifespan, but also extends the activity efficiency. 2. 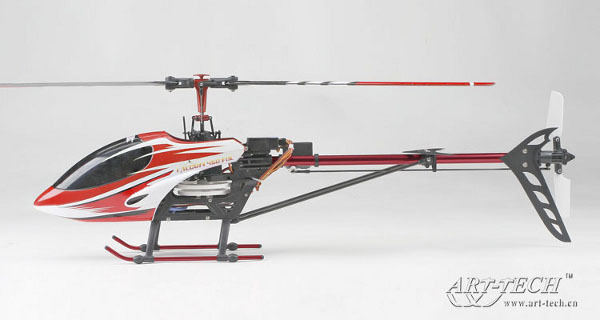 No stabilizer design, simple structure and little power consumption largely extend the flying time. 3. 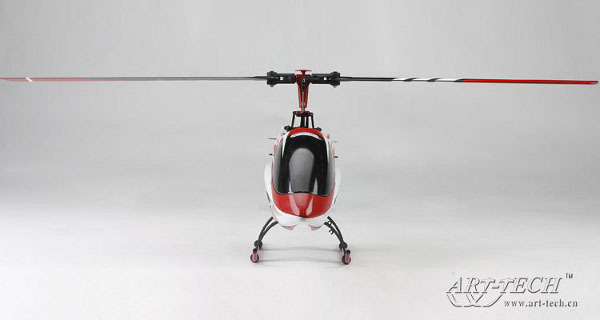 The Flybarless controller and receiver integrated design can auto- design the flying parameter, auto-correct the helicopter's flight attitude. 4. Adopt carbon main blade, it owns the features such as high intensity, high rigidity, fantastic and perfect flying performance. 5. "Steel bar concrete" frame makes it very strong, crash resistant and bear the abrasion. 6. 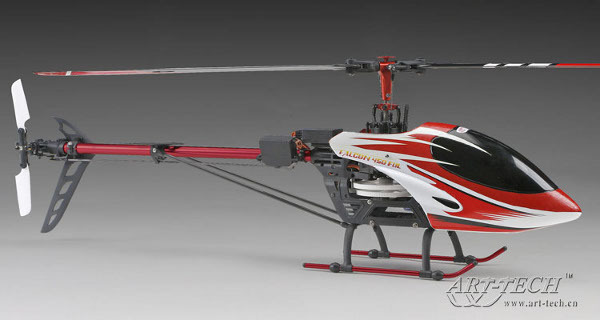 Equipped with 3pcs of 9g digital metal gear servos for swash plate, which makes the model fly much stably and control accurately.